This book tells us information about most legends that you might have heard or know of. Its a very nice collection of information that tells us about them in brief. At times you might not be able to read biographies of all these legends but this can be a nice collection. I liked the writing and the format. I also liked the way it was categorised with respect to their fields of work or contribution. 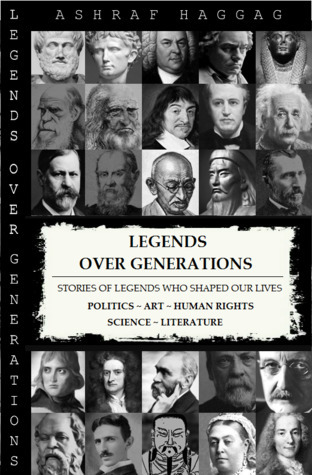 Since its a non-fiction there's nothing much to say about as it collects information about most legends of the world which are very well known. Its a nice piece of work I'd like to keep in the library. It can also be a good book for kids where they can learn more about these legends. Also there's a great conclusion at the end where there are sort of tips learning from these legends over generations. This book is also featured as Book of the Month on Tredition which you can check out by following the link below.